Twin Flame Weekly Reading; 12th-18th September- Restoration & creation & manifestation; Discovering the new self, leaving the past behind & breaking karmic ties. Main theme – The emperor, what is occurring for both twins – Nine of pentacles, Masculine – Three of cups, Judgement, The magician, Feminine -Nine of cups, Ace of cups, The fool. Numerological break down – 12th-18th (1+2) = 3. (1+8) = 9. 3 – Creation, manifestation, expression, communication- ending the week at 9 – Resolution, completion & releasing. Once again, this reading is not limited to those identifying with the term ‘twin flame’ alone & should also resonate with high frequency soul mates. The terms masculine & feminine are also embodiments of energetic templates & are not necessarily restricted to gender. The main theme this week, arriving as the emperor is proof that sacred lovers this week once again, have their focus towards establishing order, bridging boarders, and barriers, and going the full length to create the life that they are now certain that they deserve! This includes obliterating any past obstacles that stood in their path, whether these obstacles were external, or of the self. It does not matter, because this week, sacred lovers will stop at nothing to see the acquisition of their goals. This is the tying up of loose ends, the strategy & the implementation that is required to take mere ideas & plans, & turn them into profit & success. Taking charge & taking control of their own finances as depicted by the 9 of pentacles. This is all about going it their own way, taking matters into their own hands & not waiting on anyone, or anything, to offer them a hand out. They are done with co-dependent ways of thinking this week, as they recognise that the only way to sustainability, is self sustainability. No longer waiting for assistance, that rarely ever comes, and only keeps them in a state of procrastination. The 9 of pentacles is the focus on the manifestation of their goals, talents & abilities. They are working feverishly this week in order to make everything come together full circle. Something within them – likely a realisation (see general weekly reading), and they are realising this week, that there is no longer any time to waste. Perhaps, they are combing their efforts here in order to take their careers to the next level. This may not necessarily be done physically, but could be achieved energetically, through the merging of both of their worlds. The emperor card may also represent both lovers healing with & dealing with father issues, or karma from the masculine template. The masculine energy is initially provided by the father figure in a child’s life, if a child is deprived of this, (even through emotional distance), it takes manifestation in different ways. The feminine energy will likely suffer from a lack of organisational skills, or ability to structure & depend on the self, whilst the masculine energy may over compensate his masculinity & fail to tap into his inner consciousness, or even refuse to confront internal issues, that he may perceive as too feminine for him to allow himself to address. This is being rectified this week. Masculine – with the three of cups present, the masculine is focused on unity consciousness. This could be him looking into the future & perceiving a life together for him & the feminine, that involves a child, or children. This third energy, however may also speak of the two creating something together that is successful, & that benefits the two of them equally. The judgement card is the masculine’s realisation of the intensity & immensity of the spiritual union that is presented to him here at this time – as a result of uniting with the feminine. 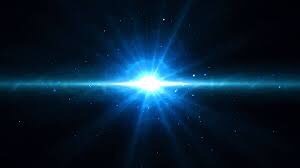 This is mass karmic work occurring, he is very powerful this week & he knows that it has everything to do with this connection. It is almost as if this relationship has given him spiritual strength. He is engaging in the exploration of his own soul, this is comfortability in tapping into his feminine energy, and acknowledging that he too is a great creator of that which he desires. His manifestation abilities are speeding up, as depicted by the magician card. He is saying this week, ‘Look what I can do’. Spirit is like, ‘look at the gifts that I have given to the two of you, to go out there & use, to heal, inspire & empower others’. It is imperative this week, to use these abilities & to use this connection to give birth to a third energy, a creative life force. This may be an ‘AHA!’ Moment about the work that the two of you can do together. The three of cups signifies the ultimate goal of divine love, (creation & manifestation). The masculine has reached a pinnacle, the end of a cycle for him in his life & it is calling for a rebirth/self re-evaluation. Maybe there were 3 people involved in the union & he has realised that he has to drop, or let down gently the other party, because there’s only room for two in a spiritual/divine Union. It is also possible that it is his epiphany to create children with the feminine that gives him extra added motivation to create a successful template, to ensure that all their needs will be met, and taken care of. Judgement is the realisation that he can change the self & break the cycle of bad habits, because he now has self awareness. Both energies are really coming together this week & influencing one another in a very impactful way! They are building an empire, cultivating establishments & working on the realisation of their goals & dreams. Perhaps the masculine is even experiencing dreams in his sleeping state of their future together..
Feminine – with the 9 of cups introducing Itself on the side of the feminine, her dreams & wishes are actually coming true this week! I am so excited for you feminine! She may be receiving good news about her business/career, and the direction that she is to go in now. Somebody arrives to tell her some good news this week & the news is in relation to her being one step closer to her dreams. Two 9’s in this reading, definitely signify the completion of a cycle & the beginning of a new one for her – along with the fool card. She’s using painful past lessons to create something beautiful this week & it is offering her a sense of empowerment. The masculine also has something to do with the way that she is feeling & the luck that she is experiencing, as he has offered her something. Maybe it was a dose of masculine energy, maybe it was his belief that she could really make her dreams a reality & that she is really powerful – based on what she has shown him! Abundance is the message & the theme for her this week, she has more than enough, even when she cannot see it transpiring, she IS divinely taken care of. The ace of cups is this new beginning in love, (once again, we talk of new beginnings for her). This is karmic resolve on a large scale from past relationships, & this signifies new perceptions about love & the masculine. This is belief in a better tomorrow, less scepticism, less pessimissm & ironically, the abandonment of abandonment consciousness. She is learning how to deal with the struggle & rubble of life better. The fool card sees her walking away from the past & focusing on the future. She is taking helpful past lessons & experiences with her & leaving behind that which is harmful, or traumatic. Learning from past mistakes, she carefully begins the weaving of a new future this week. I sense an enthusiasm about her potential future advancements, and what is to come. When you remove your focus from the past, you witness how life is a journey of constant initiations & profound rebirthing. Nothing is a mistake. Nothing has gone to waste. You learn to take all of the useful things that you have learnt from the past, & you proceed to make the scary jump into the future. Posted on September 12, 2016 Categories empaths, Esoteric Knowledge, Karmic Lines, love, metaphysics, numerology, spirituality, Twin FlamesTags divinelove, empath, esoteric, forecast, intuitive, metaphysics, mystic, numerology, relationships, sacredlove, soulmates, spiritual, spiritualism, spirituality, tarotreader, tarotreading, twinflamelove, twinflames, twinflameunion, writerLeave a comment on Twin Flame Weekly Reading; 12th-18th September- Restoration & creation & manifestation; Discovering the new self, leaving the past behind & breaking karmic ties. 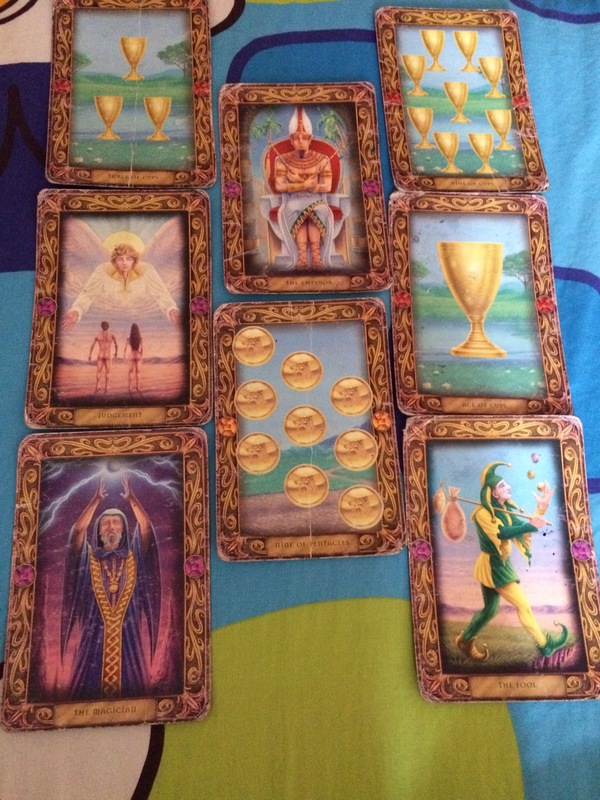 General weekly reading – 5th-11th September; An offer, and a decision. 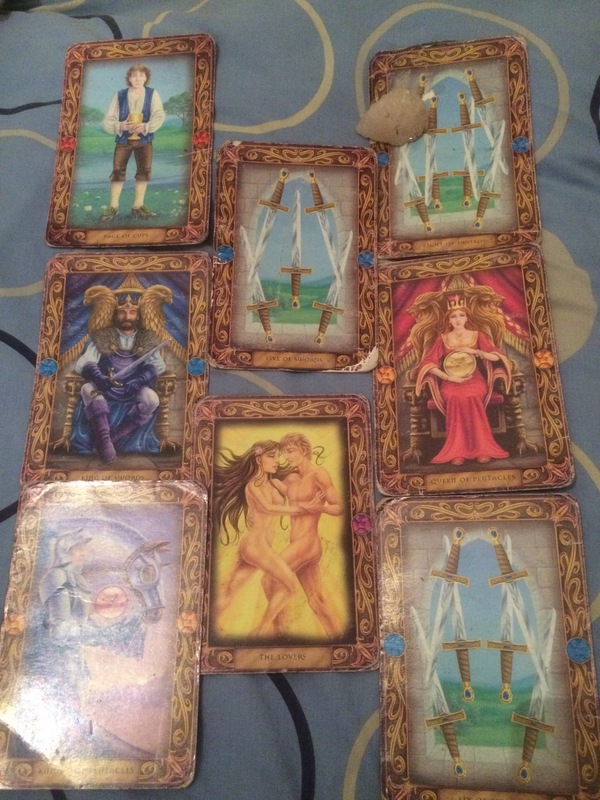 Main theme – knight of cups, the chariot, two of swords, six of pentacles, strength. This week, with the main theme being the knight of cups, there is something being offered to us. Perhaps this is an offer of love – it may be from a current partner, or somebody who is coming back from the past, to try and articulate to us, how much they have grown, and what they have learnt. There are some decisions to be made about fairness, equality, and justice. Perhaps this is the message that this person is bringing us, retrograde may have us revisiting this scenario because it has a vital piece of the puzzle of life awaiting us. Maybe this person was apart of our past karma, a karmic attachment, and the decision that we make this time around will show how much we have grown, or progressed. The chariot card indicates that one of our choices this week is in moving forward. Does the past have anything left to offer us? Does this individual truly have anything to give us apart from this display of love? And is this display genuine enough for us to stick around for them? 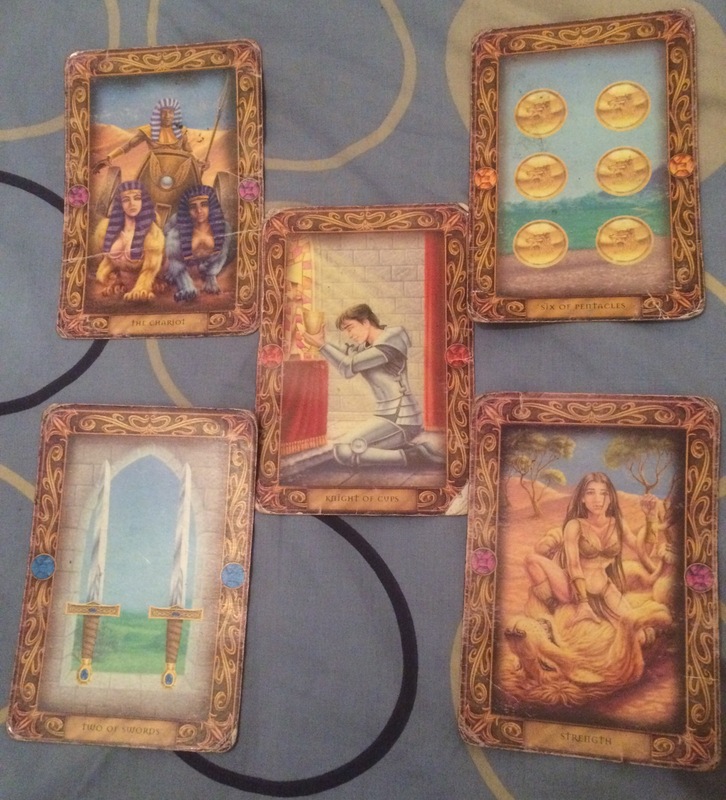 The six of pentacles asks us to weigh up what we are really getting ourselves into here. Maybe in the past, we were in a poor position, and we looked to them, and they did not offer us the helping hand that was needed. Maybe now WE are in this powerful position, and we see how the wheel of life is always changing, and rotating, and no situation at all is permanent. Or, you may be the person this week reaching out, and making an offer to somebody. An old lover, somebody you have wronged, somebody you have missed, and have this burning desire to make contact with. Perhaps you feel you have gone on a journey, an inner battle, and now you return with more to offer them – whether this is more of yourself, or more financial//emotional security. The strength card adds wisdom to our years, we know more now, we have experienced enough of what we do not want, to know what we do want, especially when it comes to love. Settling is not an option this week, as we have come to realise our worth through painful love experiences. Perhaps there are many displays of love and affection offered to you this week, from multiple sources, and you must decide whether it is within your best interest to stay single, or to date, mingle with others, and spend this period of time finding yourself. Maybe it is best to take the time to get to know yourself more this weekend, perhaps you are still cautious about putting all of your eggs into one basket – as you should be. You are done with one sided relationships, be they platonic or romantic in nature, and apart of your divine strength is knowing now that you are in control of your own destiny. You have learnt so much about karma, through reading informative pieces like my own, and through analysing, and assessing life’s experiences, no body can stop you now in bolting forward and creating the kind of life that you desire. You are not a victim of love this week, you are in the drivers seat. There is power in knowing who you are, and what you want, and knowing your shadow self well enough to know when you have attracted a lover through the darkness. Pay attention to fight or flight signals. This is your body’s intuitive way of letting you know when to get the hell out of there. Remember, you are not a victim of love, no longer a bystander in your karmic relations. You have this inner strength and inner power that you did not have before. So you’re like, ‘I’m in control. I get to choose’. Nothing, and nobody stands in your way now, and this also goes for you in terms of career.. Putting that work in, is going to pay off at this time. 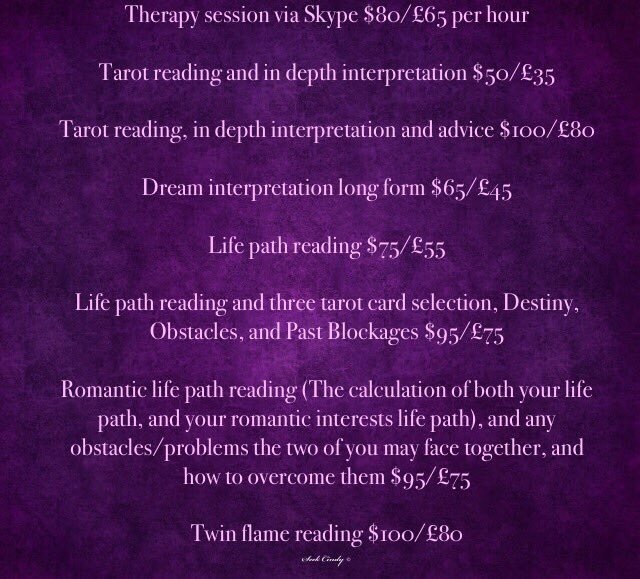 Posted on September 7, 2016 September 7, 2016 Categories empaths, Esoteric Knowledge, metaphysics, Services, spiritualityTags divination, empath, esoteric, forecast, healer, healing, intuitive, metaphysics, mystic, reading, spirituality, tarotcards, tarotreader, tarotreading, writer1 Comment on General weekly reading – 5th-11th September; An offer, and a decision.